Port Phillip Bay is special and this is why millions of people choose to call it home. However, as more and more of us choose to live around the Bay we are putting increasing pressure on its environment. We each need to have a better understanding and appreciation of the Bay and its connected waterways so that we can protect it now and into the future. Because, if we don’t look after the Bay, it can’t look after us. This initiative, brought to you by Remember The Wild and our dedicated partners, aims to inspire new and stronger connections with this extraordinary ecosystem as well as support those who work hard to look after it. 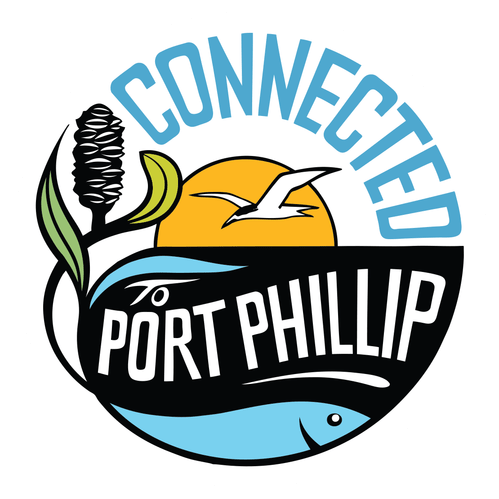 By telling stories of its unique cultural heritage and amazing wildlife, we aim to help people in our community better understand and care for Port Phillip Bay. We will also be hosting summer festivals to celebrate our shared love of the Bay and working with local businesses to ensure it has a happy and healthy future. Port Phillip Bay is a truly special part of Australia. Its massive size and semi-enclosed environment make it a unique part of the Victorian coastline. Boasting some of our country’s most popular beaches, hundreds of spectacular marine species, and a rich cultural heritage, it is a wonderful and diverse place worth getting to know. The Bay was formed some 10,000 years ago as sea levels rose to envelope what was then an extensive grassy plain. The Kulin people have occupied the area for more than 30,000 years, and their stories tell of a rapid flooding event that formed the Bay we know today. Piles of discarded shells, known as middens, are common around the Bay’s coastline and are just one example of artefacts that speak to the area’s rich cultural heritage. More than 1300 marine species call Port Phillip Bay home – occupying its sandy and rocky shorelines, its seagrass meadows and rocky reefs. Beneath the waves you’ll find stunning species like the Weedy Seadragon and Verco’s Nudibranch. Dolphins and seals enjoy the Bay’s sheltered waters alongside the iconic Little Penguins of St Kilda. Importantly, we have the Bay’s bivalves – such as Blue Mussels – to thank for keeping the Bay clean by filtering its water. It is no wonder, then, that Port Phillip Bay is a popular place to call home: with nearly five million people living around the Bay, it is Australia’s densest catchment. Additionally, more than 50 million people pay a visit to its shores each year surfing, snorkeling, bushwalking, birdwatching, fishing – you name it, Port Phillip Bay is the place to do it!